We strive to produce the highest quality products while staying competitive with our competition. We invite your business and look forward to working with you. 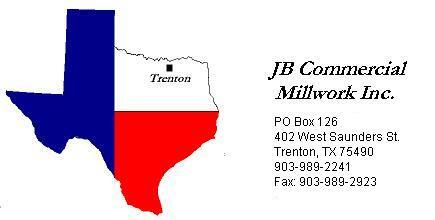 Copyright © 2005 JB Commercial Millwork Inc.